Home / entertainment / Canon Selphy CP910 vs CP1200: Which one should you buy? Canon Selphy CP910 vs CP1200: Which one should you buy? The period of Polaroid will continue to see more advancements with each passing year since the world is still deeply in love with the postcard prints of their images. Therefore arrived the need for a wireless photo printer that allows you to print images that of the size of a postcard or a credit card. And since there is a great line of portable printers coming each year, we here are going to compare those manufactured by the Japanese Multinational Corporation; Canon. This model was an updated version of Selphy CP900 and was released in May 2014. This was one of a kind printer that could print photos of size 4x3 inches as compared to other printers in line like HP Sprocket which could print images of size 2x3 inches. Though now its production is discontinued it is still available in the market. It is available on Amazon at $112. Canon made a few technical changes to its Selphy range and in January 2016 released Selphy CP1200 thereby discontinuing Selphy CP910. This new printer has all the features of the old model plus few additions. Even after the release of the new Selphy CP1300, this model is still catching the attention of the aspiring buyers of portable printers. It is quite economical as compared to other portable printers with a price tag of $107 on Amazon. Why CP1200 is better than CP910? CP910 had Wi-Fi as a connection option but people had a lot of problems while connecting the device through wi-fi, therefore, Canon made some improvements in that option and made the important Wi-Fi enabling buttons available on the front of the printer. This change was done to make the printer more consumer friendly. Canon Selphy CP1200 is slightly larger than its previous version and therefore it is also a bit heavier. Both the printers are large enough to fit in a carry bag or tote bag. Canon's portable printers are larger than other printers like HP Sprocket which has the ability to fit in a pocket or backpack very easily. Both the printers use Dye Sublimation method which requires the paper to go through the printer again for every color. For example for three colors and one protective layer, it has to pass four times back-to-back and then produce the final output. This process makes the printing speed slow and therefore one print takes more than 1 minute to produce the final print. Selphy CP1200 prints a little bit faster than the old one. 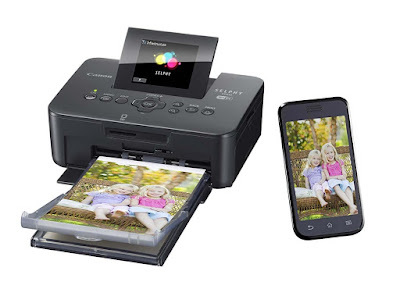 Android users can use Canon Print Inkjet/ Selphy App, which can be inconvenient as the app gets bulky when you have to choose from among many photos. iOS users get a better deal because AirPrint compatibility lets them print from other iOS Apps. Also Read: Quick Tips: How To Shave A Matted Dog At Home? Canon Selphy CP910 can print images of size 4x3 inches whereas this improved CP1200 can print images of up to four sizes- 2x3 inches, 4x3 inches, 2x2 inches and 3x5 inches. You may have to purchase an additional printing tray for lower sizes. Canon Selphy CP910 was cheaper in comparison to CP1200 but since it has been discontinued by the company its price has risen to $114 because of less availability in the market. CP1200 is now cheaper and is available at a price of $109 in the market. CP1200 gets fully charged within four hours of charging and provides battery backup for up to 54 prints per full charge. On the other hand, Selphy CP910 can give 36 outputs per full charge. It also takes four hours to get fully charged. While traveling you need an extra battery if you want to print on the go or you will need to carry the charger as well. 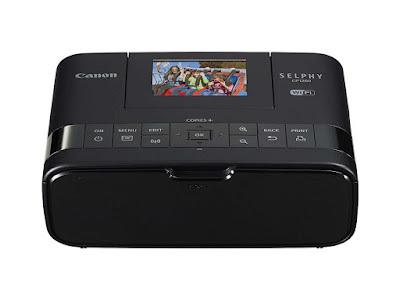 With Selphy CP1200 one print of size 3x5 costs 35.2 cents with the Canon's KP-108IN Color Ink/Paper Set ($37.99 MRP) which has enough paper and ink to print 108 postcard size photos. There is not much difference in the cost per print of both the printers and Selphy CP910 with the same pack costs 32.4 cents per print. Buy this pack of 108 sheets and ink in $29.99 on Amazon. Inthe light of above points of comparison, it is clear that Canon Selphy CP1200 is way better than CP910. It is faster, has additional features and changed looks, is more consumer friendly and easy to use, produces more output at same charging time. Though the final decision depends on your choice, our choice is Canon Selphy CP1200 what is yours? Tell us in the comments and share your experience with both of them.